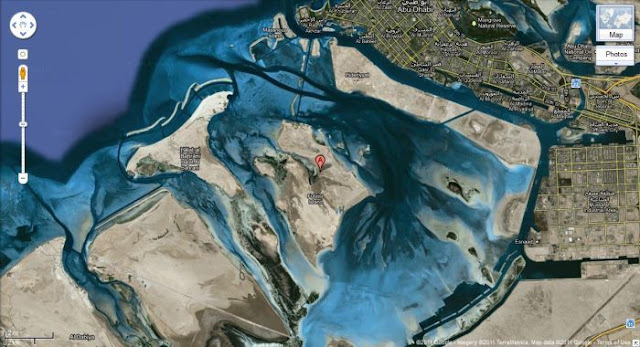 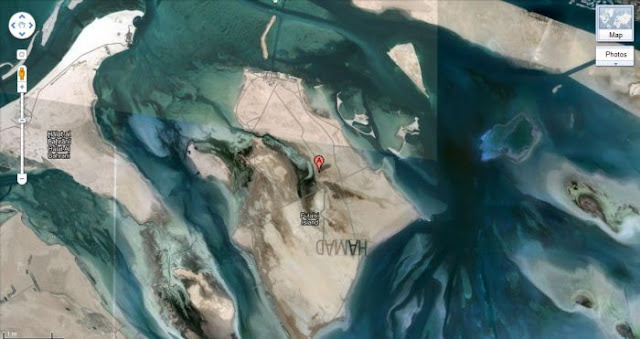 On a sandy island in Abu Dhabi Sheikh Hamad bin Hamdan Al Nahyan has inscribed what is in effect the biggest graffiti tag the world has ever seen. 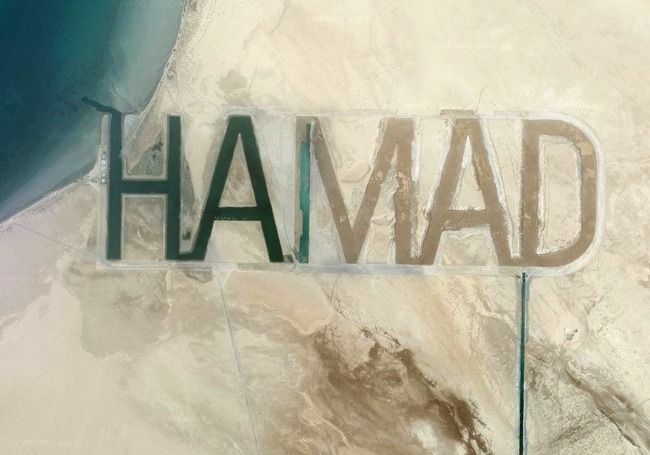 Hamad, 63, a scion of the billionaire Abu Dhabi royal family, has gouged his name in capital letters two miles across and half a mile wide. 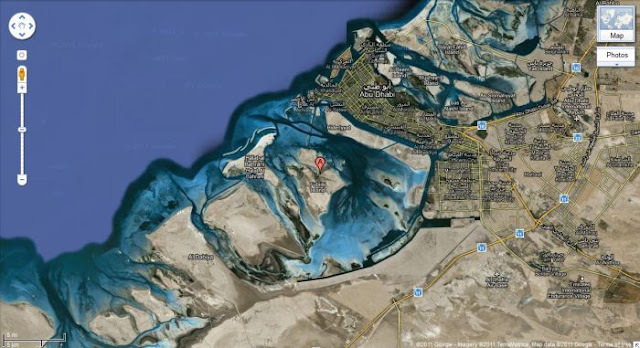 His moniker is so big it can be seen from space (as this Google Earth pic demonstrates). 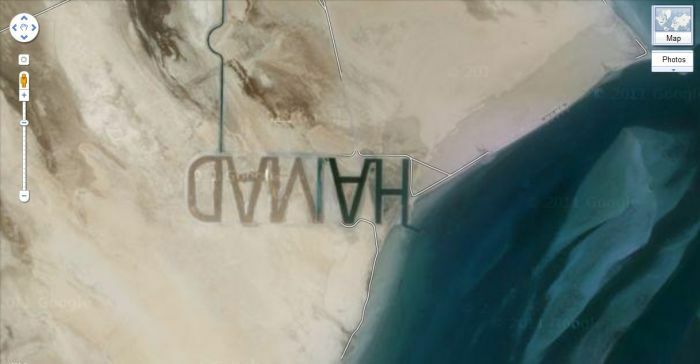 The tip of the “H” reaches into the strait that leads to the Arabian Gulf, allowing Hamad to fill the first two letters of his name with water. 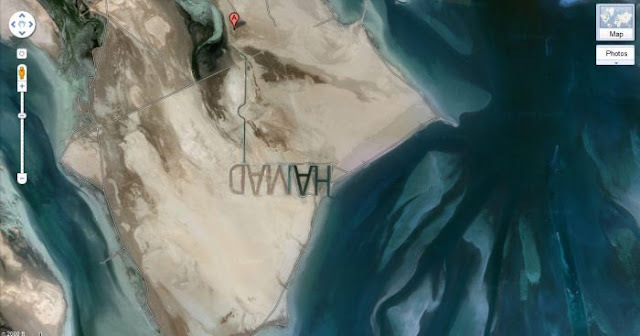 The “M” looks partially filled as well.